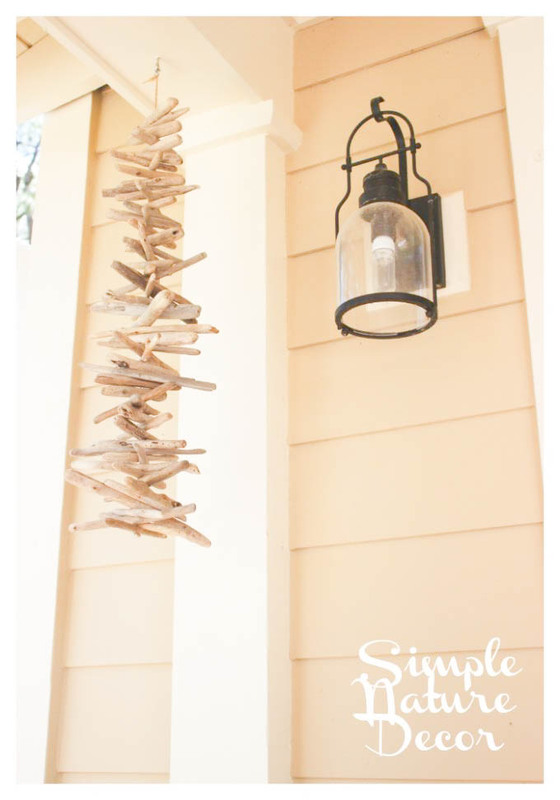 Take each driftwood piece and drill a hole in the middle. The drift wood is pretty hard so I used a 1/8 inch drill bit and that created a hole big enough to pass the rope through. Odd shapes pieces of driftwood look best when grouping them. Don’t try to organize them they need to look uneven when you hang it. Take the first small screw and tie it first before you start threading the rope. It prevents the chime from breaking. Wet the tip of the rope so its easy to pass through the hole. 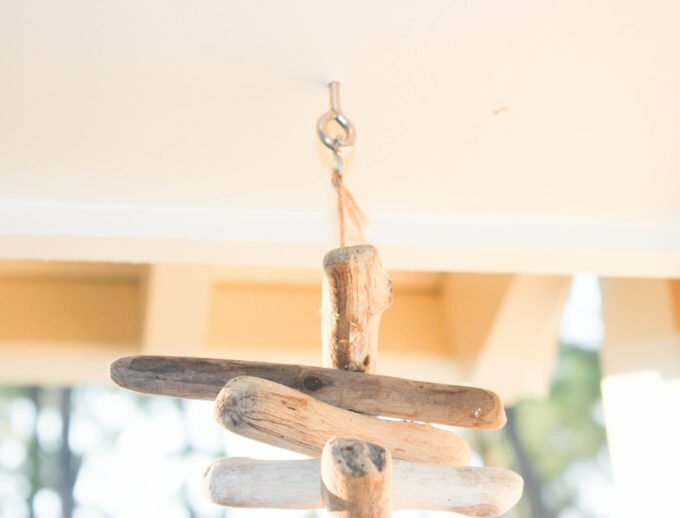 The last piece you need is to tie the second screw at the top and leave at least 5 inches of rope to attach to screw hook. Use pliers to close the screw hook to avoid the rope from sliding off. All this was pretty quick project. 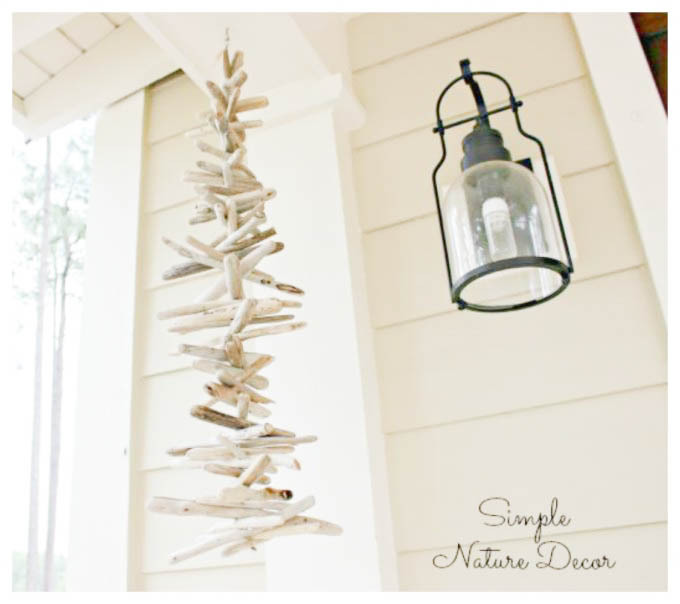 This driftwood wind chime can be put anywhere. Its impact on my front door creates a beautiful garden wind chimes. 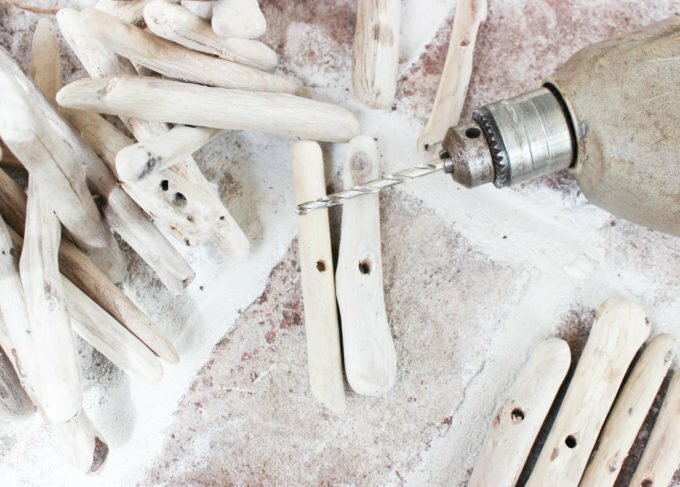 Love your driftwood chime 🙂 I usually pick up larger pieces of driftwood when I’m at the beach – now I’m going to look for smaller pieces so I can make a chime 🙂 Thanks for the inspiration! I am happy you stopped by.. 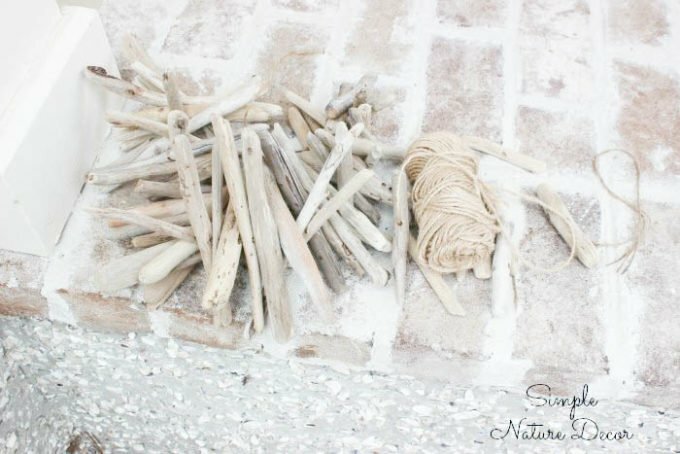 I hope you find some smaller Driftwood pieces out and about! This is so gorgeous! 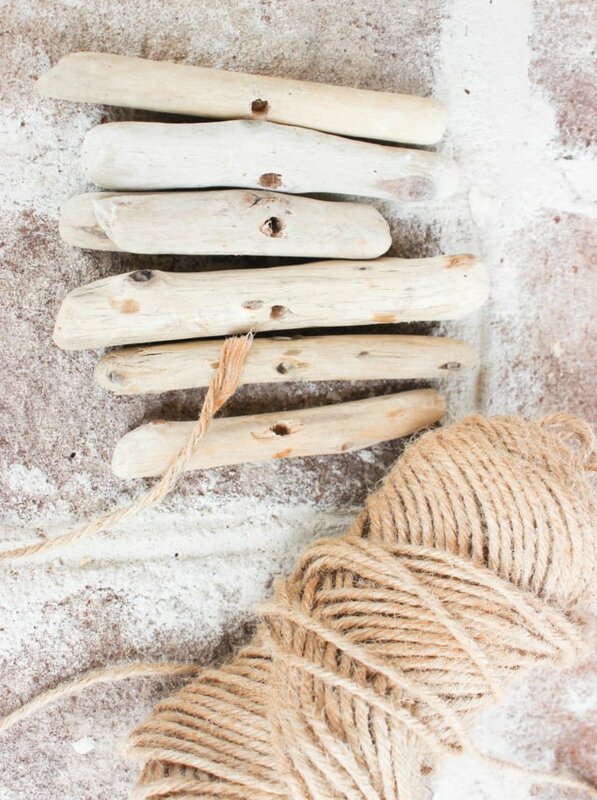 I love the natural look of the driftwood. Nice job! Thanks for the nice comment! It was really peaceful diy to make! Maria this is so cute! 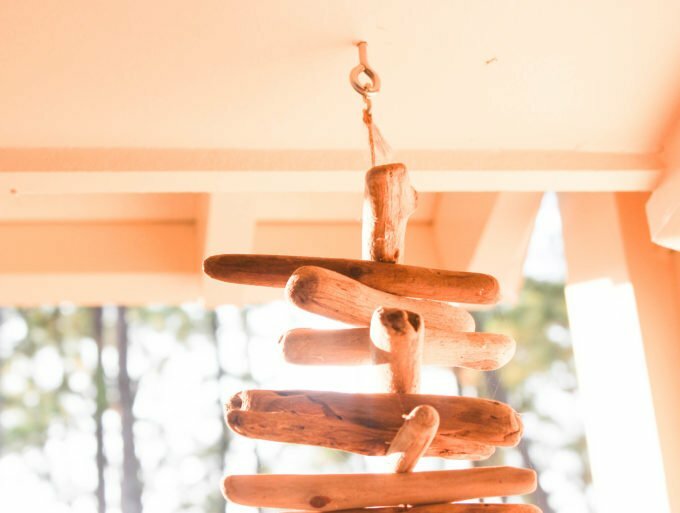 I’m not a big fan of wind chimes because I don’t like the sound of metal hitting metal but I think this would be so relaxing..definitely going to have to give it a try! Sydney, thanks for that! you are right this chime has a very light sound.. very soothing. 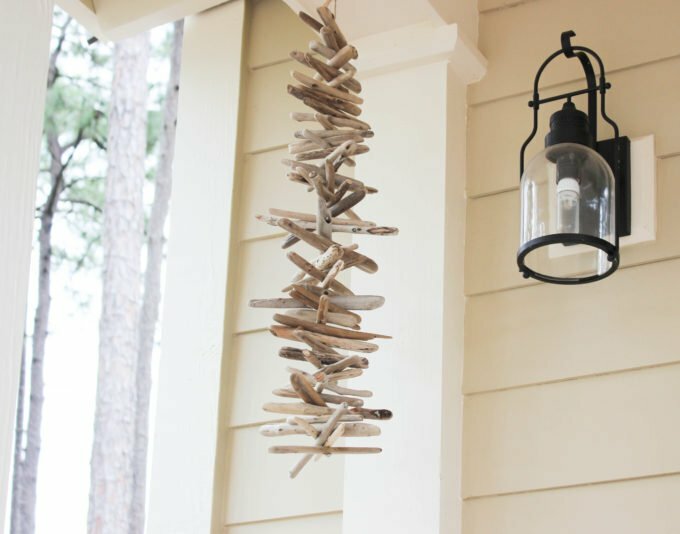 This is so pretty, what a great idea! Thanks for sharing at What’d You Do This Weekend?! 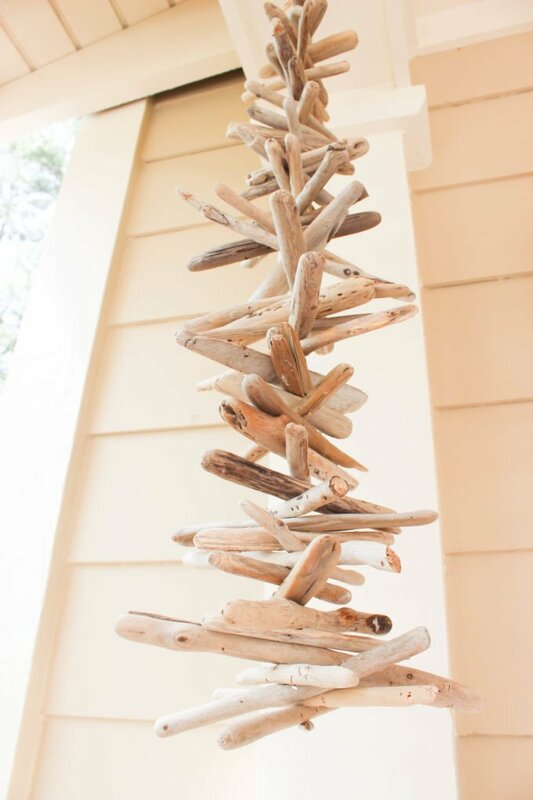 Maria, what a great way to use driftwood. It looks awesome, great job and perfect for the summer:).